This tool can compute your daily, monthly, and yearly gas expenses. Additionally, it can show you how much these same expenses could decrease if you drove a car with better gas mileage. For a given tank of gas, input the beginning and ending odometer readings, the number of gallons for this particular fill, the local cost per gallon of gas, and your average mileage driven per day. Press CALCULATE, and you’ll instantly see your current MPG rating, along with your estimated daily, monthly, and yearly gas expenses. By using the pull-down menu located in the column to the right, you can choose a more efficient MPG rating. You’ll then see how much your expenses will decrease with better gas mileage. Economy is something that most adults are interested in. Once you start paying your own bills, it shouldn't take long to figure out that finding ways to save money is a good idea. Working smarter, not harder is the name of the game if you want to be a responsible consumer and stretch every dollar. Unfortunately, you’ll find that owning and operating a vehicle, while providing you with freedom of a sort, is nowhere near free. It is a terribly pricey undertaking. However, because it makes holding a job so much easier, it is a convenience that most of us are willing to pay for. Still, you probably aren't opposed to the prospect of saving some dough in the process. 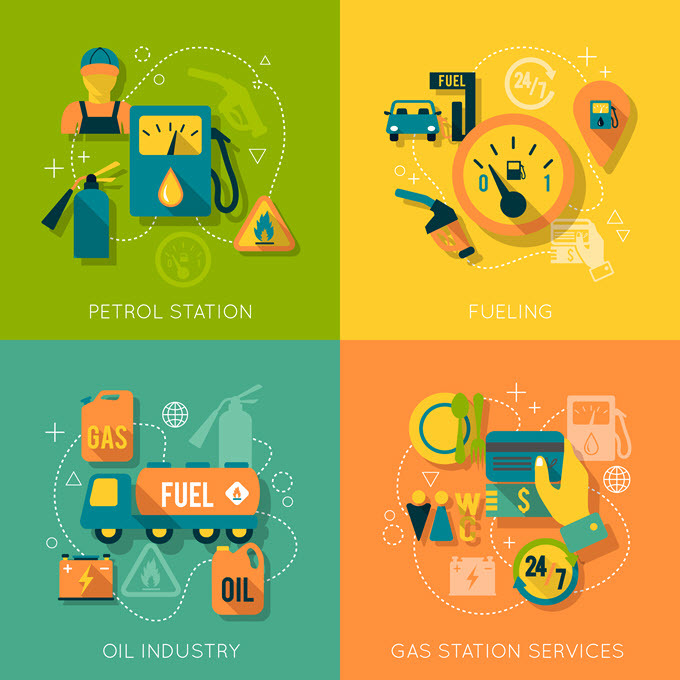 And there's just no denying that the price of gassing up your car can be astronomical, especially if you drive quite a bit in the average work week. So you'll be happy to hear that there are several strategies you can adopt when it comes to making your morning and evening commutes a little more economical. Here are some effective ways to improve your car's overall output. One of the best ways to maintain the economy you enjoy with a new vehicle is to make sure you stick to a schedule for regular tune-ups and repairs. When you take your car in to swap out fluids and filters every three months or 3,000 miles, you'll ensure that all of the mechanical components remain in tiptop shape and functioning properly. And major maintenance visits will allow your mechanics to delve more deeply into potential problem areas, such as sensor function. When your car is well-cared for, you're bound to continuously get the best gas mileage. You might not have the faintest notion what your tires have to do with your gas mileage, but tires that are underinflated could leave you consuming more gasoline and paying the price at the pump. Over time, your tires will lose pressure even without a puncture or a leak of some sort, so you should check the tire pressure at least on a monthly basis. Then look for a gas station that offers air for free, or at least air when you purchase gas. Having your tires filled to the right PSI (as listed on the sidewall) could significantly improve your fuel economy over time. The more weight you carry in your car, the worse your gas mileage is going to be. So remove everything you can from your vehicle every time you drive it rather than letting heavy items like tools languish in the trunk. You might even consider buying a lightweight car in order to get better gas mileage. And don't forget that gasoline can be heavy, as well. Although it might mean stopping at the station more frequently, consider keeping your tank only half full. Although much of your vehicle's overall economy relies on the automobile itself, there's a lot you can do as a driver to help or hinder the process. And if you want to get the most out of every tank of gas, one great option is to plan your routes so that you aren't engaging in unnecessary driving. When you take the time to plan all of your errands so that you can execute an effective and economical route, you're going to stretch every dollar you spend on gasoline. You might not pay a lot of attention to the octane rating of gasoline, focusing instead on the price. But cars come with recommendations for octane for a reason - it's because the grade of gas you use can impact how well your car runs. Lower octanes can not only lead to knocking, pinging, and build-up in your system, but they can also compromise the effectiveness with which your engine operates. It's something to consider if you're looking to improve your gas mileage any way you can. There are a surprising number of alternatives to standard gasoline on the market these days. One great option is diesel. Although the dirty diesel of old would probably have raised plenty of eyebrows if pumped into consumer vehicles, the clean diesel of today has provided an excellent alternative to gas, considering vehicles that use it tend to enjoy significantly increased gas mileage. And it's widely available, unlike compressed natural gas (CNG) and biodiesel, which can still be pretty difficult to find. If you want to cut back on gas consumption but you're not ready to give up on the travel range offered by petroleum-fueled vehicles, hybrids provide an excellent compromise. With enough charge, they can transport you a fair distance without using a single drop of gasoline. And when the charge runs out, the engine simply switches over to standard, gas-burning operation. It's an ideal choice for consumers that want to cut their carbon footprints without foregoing the convenience of gas-powered vehicles. There's just no better way to accomplish an economic and environmental solution to burning fossil fuels than with an electric vehicle. And thanks to advances in modern automotive technology, such options are becoming more common and affordable. In addition, many of these vehicles have a much greater range than they used to (although none can yet rival the 300+ miles offered by Tesla's Model S). But with ongoing efforts in the field of green transportation, drivers may soon give up petrochemicals altogether and rely on cars that run solely on battery power.